FAQs / How to switch to old sales tax center in QuickBooks Online? 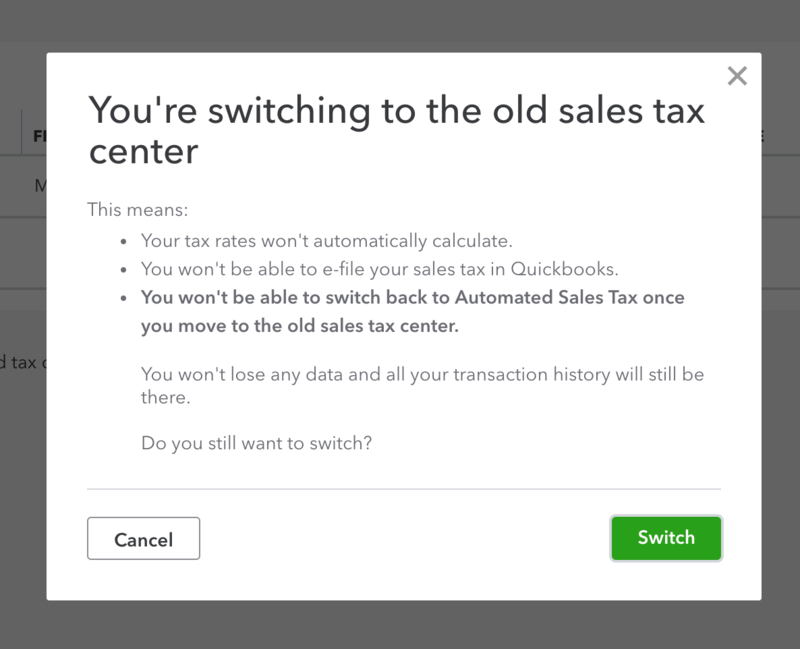 QuickBooks Online has now made reverting to old sales tax center possible now. 1. On the left pane of the homepage, select Taxes. 2. Go to Sales Tax Settings on the top right on this page. 3. At the bottom of this screen, you’ll find the option to temporarily switch to the old tax center. Click the hyperlink: Switch here. 4. A dialog box will appear. Click Switch to continue. Once done, you can now use the QuickBooks old Sales Tax Center. See image below.